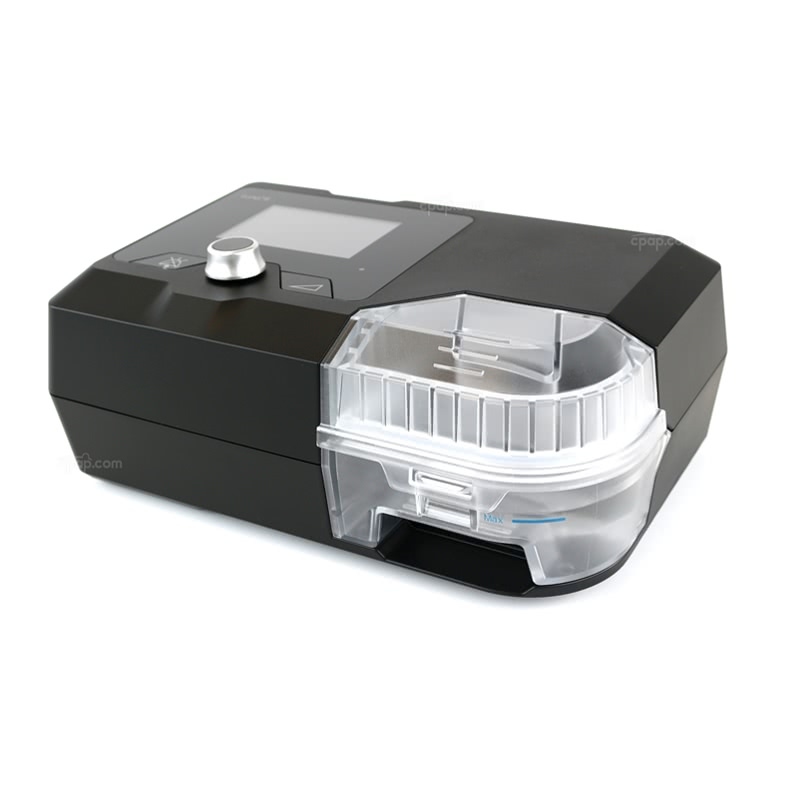 The Luna II CPAP Machine is set at one target therapy pressure and provides treatment for Sleep Apnea in a package that includes a built-in heated humidifier. Prefer automatic pressure adjustments? 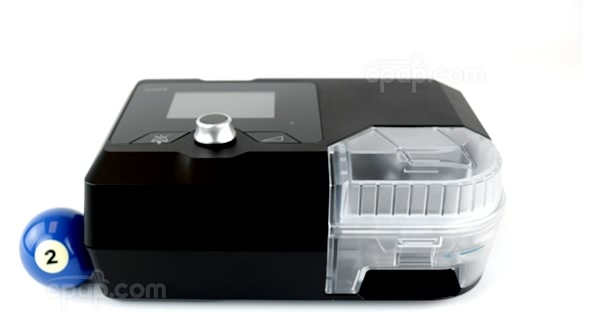 Visit the Luna II Auto CPAP page for more information. Enjoy the convenience of sharing therapy data with a physician over WiFi or Cellular, and get instant information about your night of sleep on your phone by using the convenient QR Code. 1% of CPAP Machine product buyers choose this product. The Luna II CPAP machine is single-pressure therapy at its finest and is loaded with comfort features making it easier and more comfortable to fall asleep. Reslex® pressure relief makes it easy to breathe out, while the 60-minute ramp time gives you extra time to fall asleep. Enjoy the convenience of getting therapy data on your phone through a mobile app and QR Code,with other features and extras. For those wanting to share sleep data with their physician, the Luna 2 provides a number of ways you can do this. Communicating over WiFi or Cellular, the Luna II can talk to your physician. It also has a data card, making it possible to track sleep on a PC or give it to your sleep technologist. The Luna 2 offers so many ways to share data, and can be deactivated if desired. The full-color LCD display makes it easier to navigate through the different screens and find exactly what you're looking for. It helps make it simple to interact with the features and options found in the menus, and the screen also helps to quickly get access to your health data. 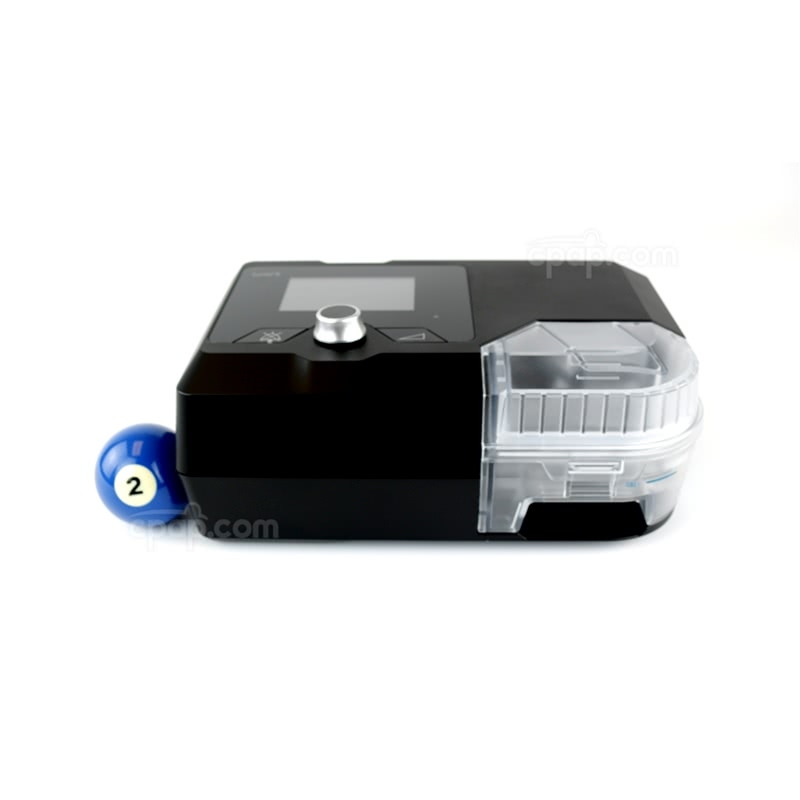 The dual-chamber heated humidifier makes it easy to fill and provides open access making cleaning a breeze. The humidifier is designed to help reduce dryout of sinuses and your throat by adding extra moisture to your therapy air, keeping your throat, nose, and mouth hydrated throughout the night. Want CPAP therapy data on your mobile device? The Luna 2 CPAP Machine generates a QR code after therapy concludes, and by using an app, you can scan the QR code to get instant access to your therapy data. Be in the know when it comes to CPAP therapy, and take your therapy data on the go! Some people naturally take longer to fall asleep and the Luna II CPAP Machine gets it. While most CPAP machines feature a 45-minute ramp time, the Luna 2 goes a step further and has a 60 minute ramp time. This provides an extra 15 minutes of lower pressure, allowing someone to fall asleep naturally. Without pressure relief, you'd struggle to exhale against the force of the incoming air. The Luna 2 provides Reslex Expiratory Pressure Relief, helping anyone exhale naturally and without extra effort. If desired, the Mask Leak Alert can be turned off, but it's helpful to know when leaks happen so they can be corrected, allowing therapy to continue. The auto start feature is designed to start the machine when breathing is detected. Available Mode: CPAP only, not an APAP machine. 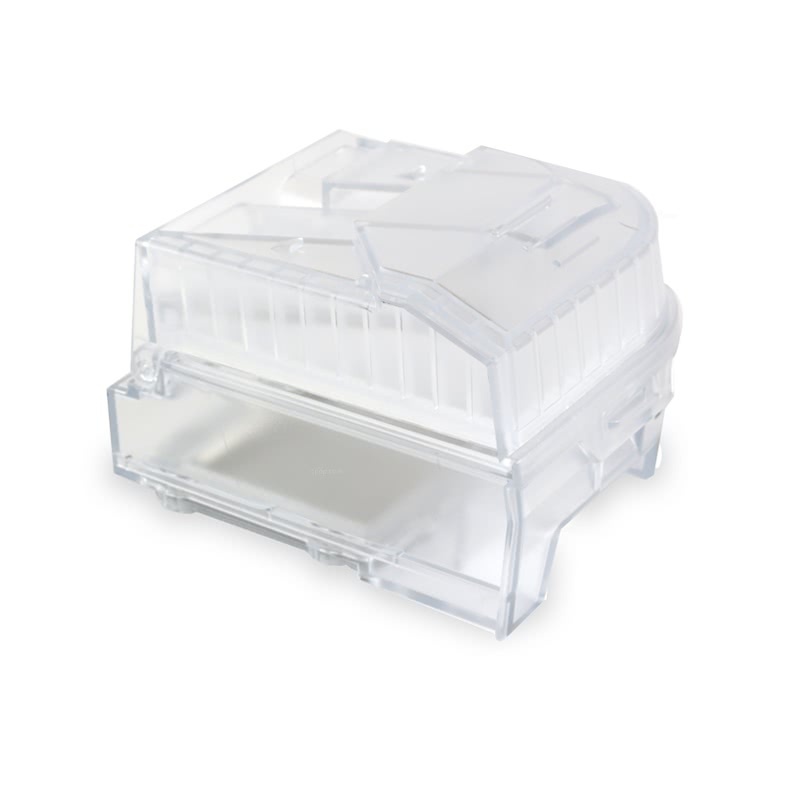 When caring for a CPAP machine, it's important to keep the machine case clean, and the humidifier tank free of deposits. Deposits in the tank form a hard chalky film and can be difficult to remove. The deposits are caused by minerals and impurities found in tap water. By sticking with distilled water, the chalky film won't be left behind because distilled water has no impurities, minerals, or chemicals. Should your humidifier require cleaning, it's best to use mild soap and water. You can also use vinegar to quickly cut through the mineral deposits, making it less strenuous to clean. Be sure to completely remove the chalky film, and allow to air dry completely before next use. The outside case of the CPAP machine can be cleaned with a damp cloth. Every night after a therapy session, the Luna II will automatically generate a QR code and publish it to the machine's display. To read it, you will need the 3B Luna QR App (available for both Android and Apple). Open the App Store or Google Play Store on your device. In the search box, type "3B Luna QR App" and look for the App published by 3B Medical. The app should be free. Tap the download button, and download the app. You scan the QR code with your camera. Scan the QR code, and you should see the data. 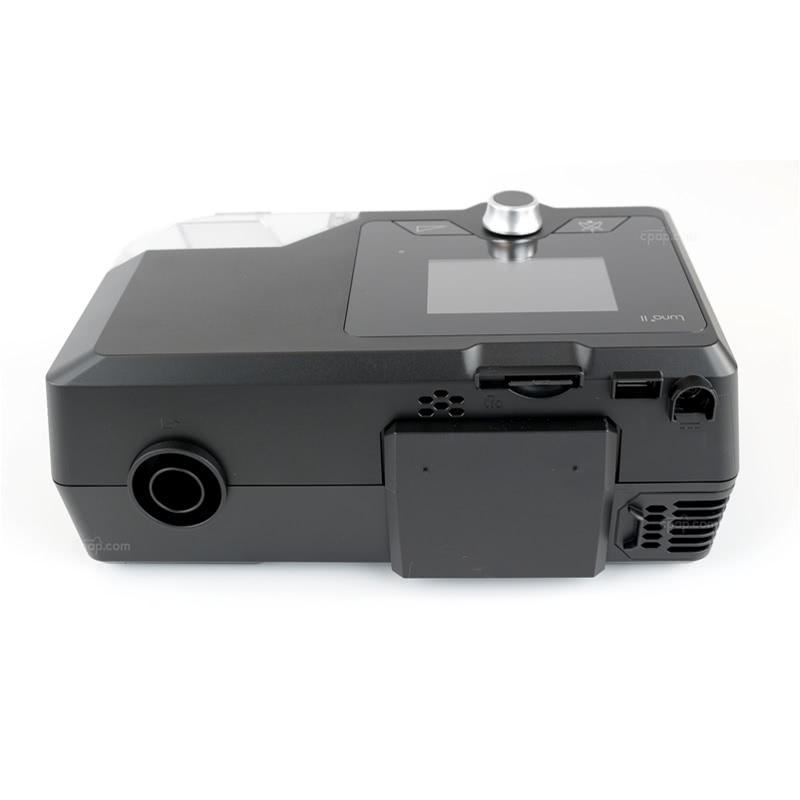 DO NOT attempt to travel with the Luna 2 CPAP machine with a humidifier tank full of water. Doing so could cause a spill and possibly damage electronic components, causing damage or loss not covered by the warranty. High smoke environments can cause tar buildup inside the machine, causing damage or loss. The Luna II is not designed to tolerate high-smoke environments. DO NOT use the Luna 2 while using a CT scanner or around electromagnetic devices. The Luna 2 CPAP (and all CPAP machines sold at CPAP.com) are capable of working with power outlets both in the US as well as internationally without any special voltage adapters. To use internationally, you will need to use World Traveler Power Adapter Plugs in order to fit into international outlets, as they are designed differently than ones in the US. The Luna 2 CPAP is can be used with the Freedom Travel Battery. Though the battery doesn't have a cord available to connect directly to the Luna 2, it should be connected to the Freedom by using a 150 Watt Sine Wave Inverter. Keep in mind, run times may be less than expected as the inverter will draw power from the battery in order to operate.